When I was growing up I loved to read everything about the American Frontier. I loved to imagine what life was like being a frontier settler living off the land and providing for most of your own basic needs. Actually, I haven’t really outgrown my fascination with that time period! Most opportunities I get to experience a little bit of what that life was like I think it is the best fun! So today I want to share with you the process of home milling wheat flour from field to table. We just finished harvesting our wheat crop and milling some of it into wheat flour for our family so I have plenty of pictures to share of this exciting process! Here in the Midwest, we grow winter wheat. In the fall, after the crops are harvested and before the freeze, winter wheat is planted. The wheat will remain in the fields all winter. 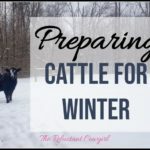 It needs the freezing and thawing of the winter season to complete its maturation process. Come spring the wheat will grow nice and tall and green! Then the wheat will begin to put on wheat heads where all the wheat berries will develop. Typically in May, the wheat will begin to turn a golden color and become shiny. By June it is ready to harvest! When you are harvesting wheat you have a couple of options. 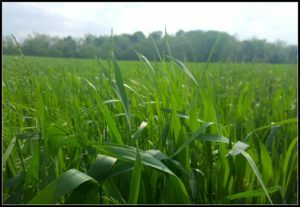 As the wheat is combined it can be cut high. The combine will sort the wheat out, grind up the stalks and throw the stalks out the spreader in the back of the combine. At that point the fields are empty and ready to be tilled up later. OR your second option is to cut the wheat on a lower setting. The combine will again sort the wheat and the stalk, but the stalk of the wheat with be dropped into wind rows. 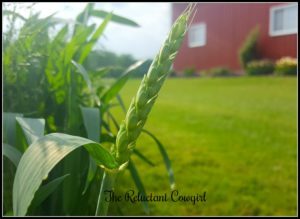 The wheat stalk is commonly known as straw! If you go with the second method, your work is just getting started! Baling Straw! 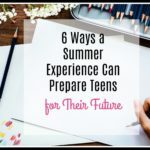 Ready to Work Hard? 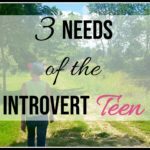 Enjoying this post? Watch my Facebook video demonstrating the process of milling wheat here. 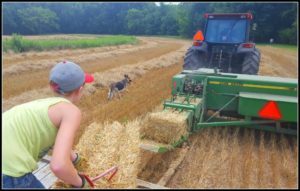 And of course it is not really baling straw unless the temperature is in the 90’s and the humidity is 100%! Ugh! If you want to ensure that your daughter finds a hard working man to be her husband just ask the would be suitor if he ever baled straw!! 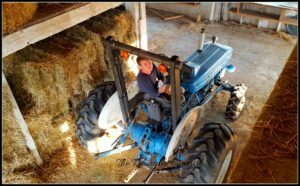 We hired some help this year as we had more straw, and the straw had to be stacked into a barn. But don’t worry everyone worked hard including Little Red and her Papa who made a mean team on the hay wagon! The wonderful thing about baling straw is that there is some satisfaction in using all the resources available. AND the straw can be sold to landscapers or to people who want bedding for their animals, making an additional profit! But there is also a lot of itching during baling straw so be sure to wear jeans! After the harvest is all brought in you can hold back a bag of the wheat for yourself. A little bit goes a long way! You are now ready to grind your wheat berries. 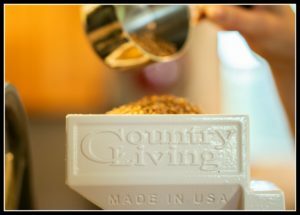 We purchased and love the Country Living Grain Mill. The mill is super heavy-duty and will last a lifetime and then some. 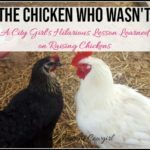 Your kids will be fighting over who gets it! It does a great job of grinding up the berries into a fine flour perfect for making bread! The Country Living Grain Mill comes with a wheel to turn and grind the wheat which is kinda of fun for kids to try out. A small motor can also be attached to the mill to grind the wheat by electric power. You will want to attach your mill to your counter top or butcher island. Or you can attach to a base so that it is moveable. We chose to build a base for our mill as… ahem… some people around here get a notion of moving often. 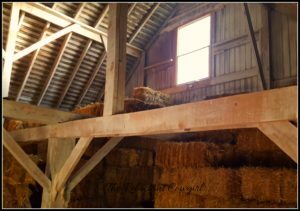 Be sure to cover your mill when it is not in use and is in your garage, basement or barn. The Country Living Grain Mill is also great for making rice flour and other flours. After you have sifted out all the chaff, pour your berries into your grain mill and out comes glorious fresh flour…straight from the field. How awesome is that? 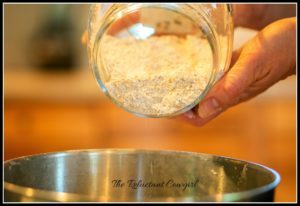 Your wheat flour will last and holds its nutritional value for a few days in the fridge or a few months in the freezer. So only grind what you will be using in the next few weeks. Watch my Facebook video here on grinding up wheat berries for wheat flour! Want a family adventure but don’t have any locally grown wheat? 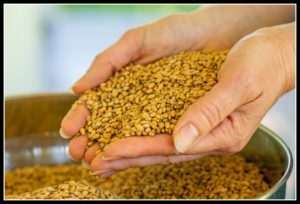 Try purchasing some wheat berries and milling them! 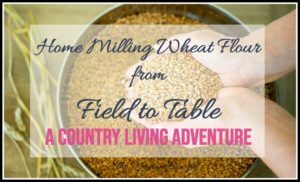 Hope you enjoyed learning more about our country living adventures grinding wheat! What has been the neatest process you have ever seen in person Spinning honey, making maple syrup, etc…? 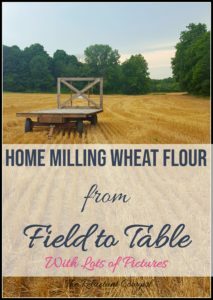 Did you like this post on home milling wheat flour from field to table? Read here for 10 Ways to Strengthen Your Family Bond. Besides loving our Country Living Grain Mill we have several other farm kitchen favorites! We are having fun this summer making homemade ice cream in my new Cuisinart Ice Cream and Sorbet Maker. I was a little nervous about figuring it out. But it turned out to me so simple to use. And it makes ice cream so quickly! Fun for the whole family:) Right now we are trying out new flavors. This 2 Qt Cuisinart Ice Cream Maker is on a Prime Day Deal! My husband bought me a Ninja Blender several years back. I LOVE it and use it almost daily! The Ninja Blender comes with single smoothie blender and cups which simplify life! 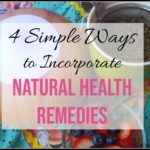 I can make a single healthy serving of my favorite Trim Healthy Mama smoothie without using or cleaning the big blender. It also comes with a food processor. The food processor and blender do an excellent chop of blending and chopping anything from ice to almonds to make almond better. And this allows me to make good use of all the summer bounty making fresh salsa and homemade pesto! Yum! What is one of your never fail got to have kitchen tool? Don’t forget to PIN for later! :) The Reluctant Cowgirl is know on Pinterest. Miranda, that bread looks amazing! I enjoyed learning about the process of turning wheat into flour. We should all stop to think about how we get the food we eat! So glad you enjoyed it Kim! 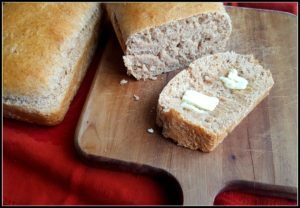 Yes, the wheat bread is so good! We used to grow wheat but don’t anymore. I love your grain mill. We have a NutriMill which so far is working fine for us. I’m not sure I would have room for one as big as yours. And your Facebook video was awesome. I have heard good things about the NutriMill. So glad you like your mill. I should have specified in video that my husband built a base for our Country Living Grain Mill. The actual mill is fairly compact. But he built a base so he could attach a motor and so the mill would be movable. Thank you, Miranda! 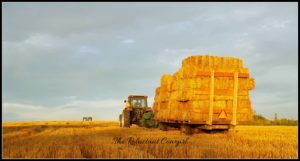 I have always wondered about the difference between hay and straw and you explained it perfectly! 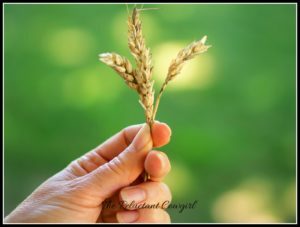 I’ve wondered so many times about how wheat is harvested and loved reading how your family made the most of the harvest God gave you this year! Headed over to watch your video now! You and me both. I think I finally have the hay versus straw question solved:) It is a blessing to work hand and hand with God and see food grow. Pretty amazing.